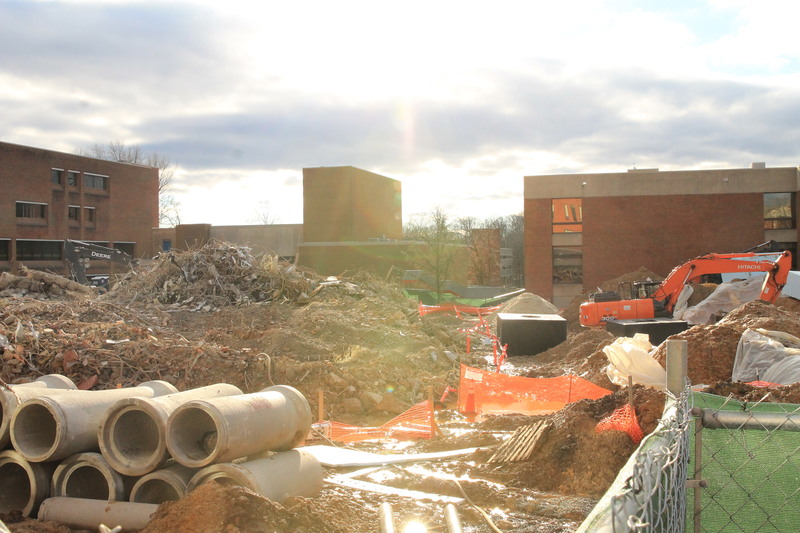 Since arriving back for the spring semester, Mason students have no doubt noticed the vast increase of construction around the Fairfax campus. 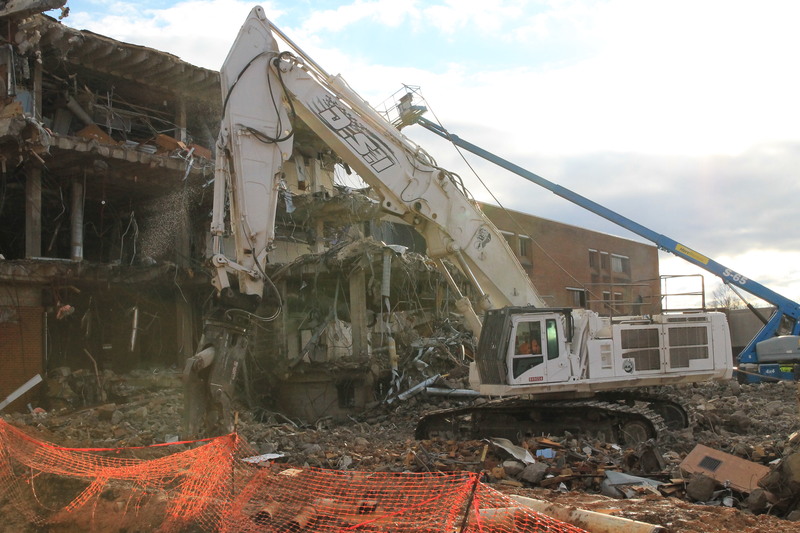 The demolition of Robinson A signals the shift of the Core Campus Project into its third phase, which has involved both the shuttering of the pathway leading from the Johnson Center (JC) to the Commons and Wilkins Plaza and the absence of the beloved clocktower. 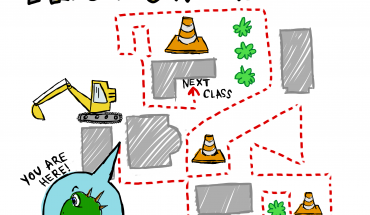 Construction on the pathway leading from the JC to the Commons is to be completed in late November 2019. The building set to replace Robinson A in its spot has been referred to as the new academic building, and is set to open in spring 2021. 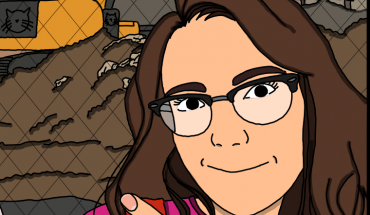 Fourth Estate sat down on Jan. 30 with Cathy Pinskey, the program manager in charge of the Core Campus Project, to understand both the purpose and impact of ongoing construction. 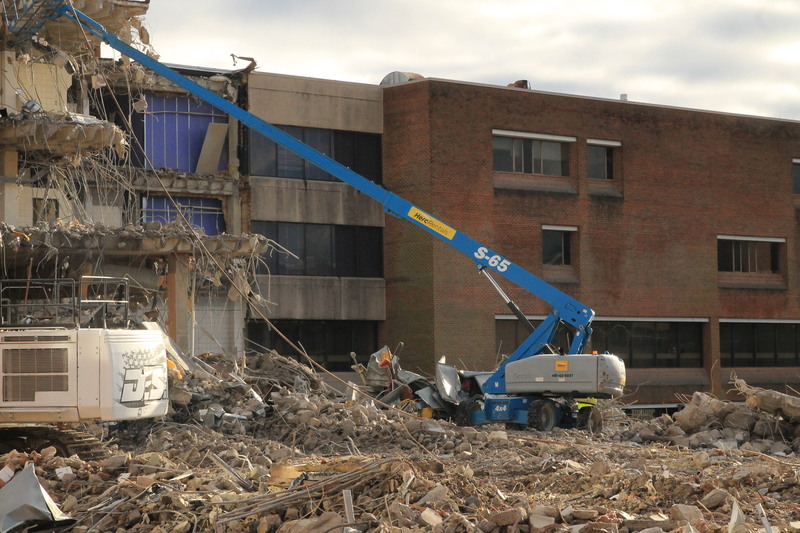 Pinskey described the Core Campus Project as a combination of two building projects, the demolition and replacement of Robinson and surrounding areas as well as a replacement of utility infrastructure. The new academic building, according to its construction website, will have six floors and 27 classrooms holding between 27 and 120 students. The website also explained that Robinson B will not be torn down until construction of the new building is complete. The space it leaves behind will be eventually used to build a spiral meditation garden and amphitheater. Pinskey also cited the construction of Peterson Hall and the Global Center as having offset any loss of classroom space caused by the demolition of Robinson. 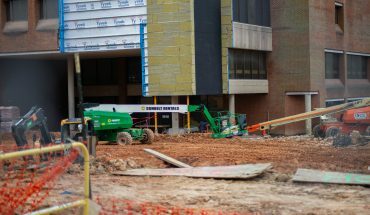 The new academic building’s construction is occurring simultaneously with the expansion of Wilkins Plaza down toward Southside Dining Hall. The expansion of the plaza, described as phase 3B, will involve the demolition of the existing walkway and the installation of more modern piping. Construction is to be concluded late fall 2019. Pinskey explained that the more technical part of the project is a major replacement of chilled water piping around campus. The piping work is also an effort to improve air conditioning throughout campus. Though construction will be ongoing, students can expect some relief, as Pinksey stated that construction fencing south of the JC should be down before spring break.